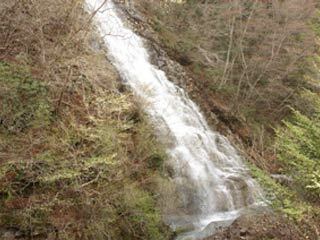 Syakunage Falls (しゃくなげの滝) is one of waterfalls in Shima Onsen. It is located north side of Lake Okushima. It is called Syakunage Falls, because in the end of April, Syakunage flowers, alpine roses, around this falls bloom.